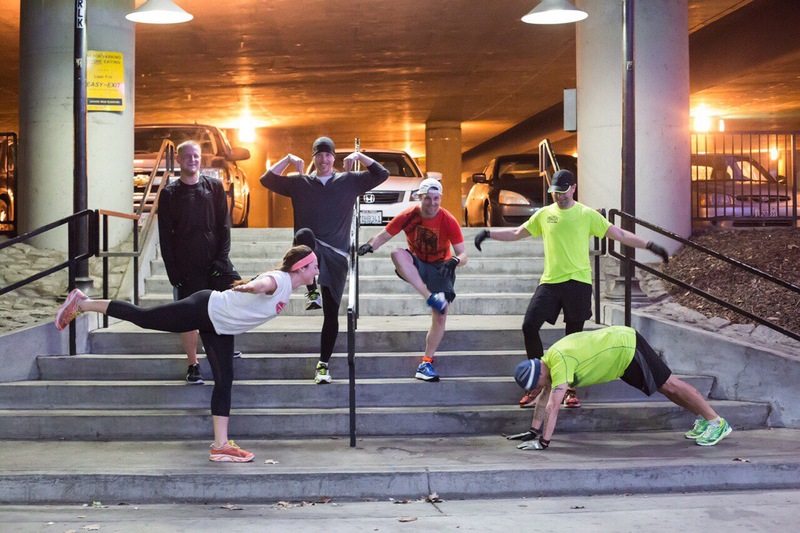 #DestinationFriday fell upon again today, this time taking the early group through a 5 mi run in the rain, while enjoying the serenity which a downtown provides between 5:30am and 6:25am prior to our 6:25 destination, the Old Sac tunnel. Today’s workout featured 2 things, lot’s of rain and professional photography. Yep, photos of our workout will be uploaded at a later date but they’ll be legit. This weekend or early next week, we’ll be able to show proof of our Deck of Cards workout with great style. 10 rounds of Mountain Climbers, Lunges, and Crunches with the card face value representing the reps.
4 Aces by Sarah Green was the winning hand today, which enabled her to pass along an additional 25 reps to the rest of the group. Next Article We don’t even have a name for it.